Master monster sculptor Viktor Makov AKA “Monsterskaya,” out of Russia, spends countless hours crafting horror themed collectibles in the bowels of his deep, dark laboratory. 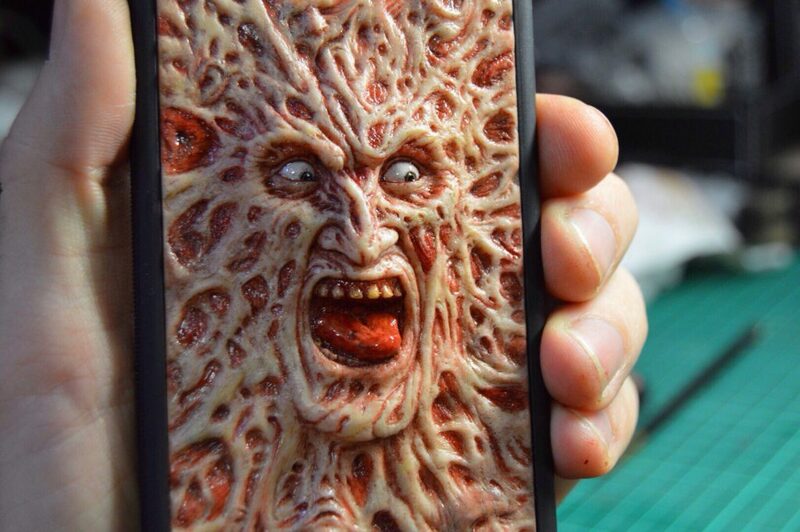 Makov, who also works occasionally as a makeup artist, puts to use all his skill when creating with his trusty sculpting tools to bring to life the undead in bust, resin magnet kit, masks, keychains and cellphone cases. Countless hours are spent bringing sculpting clay to life. 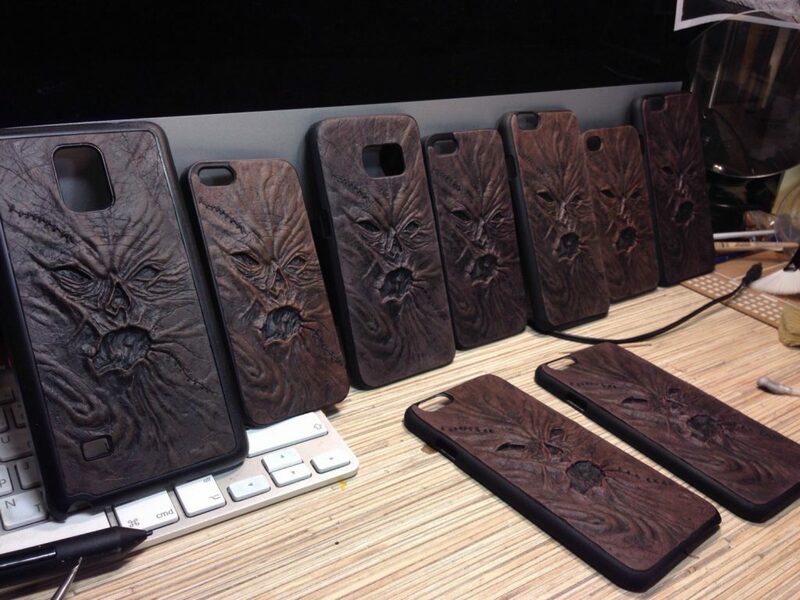 Check out these original pieces all created with the magic of ‘Monsterskaya’. COPPER PUMPKIN, HALLOWEEN, is cast from resin and filled with natural copper filler. 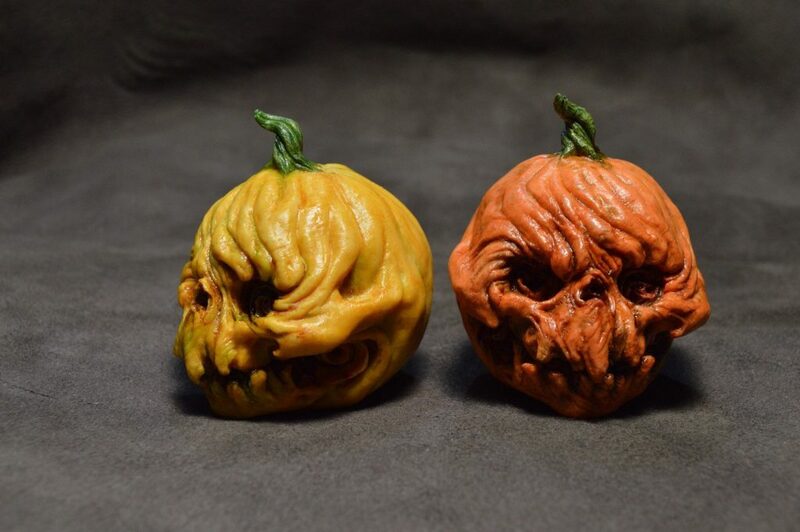 Each aging, hand-painted pumpkin has a lifelike withered face sculpted into the front. 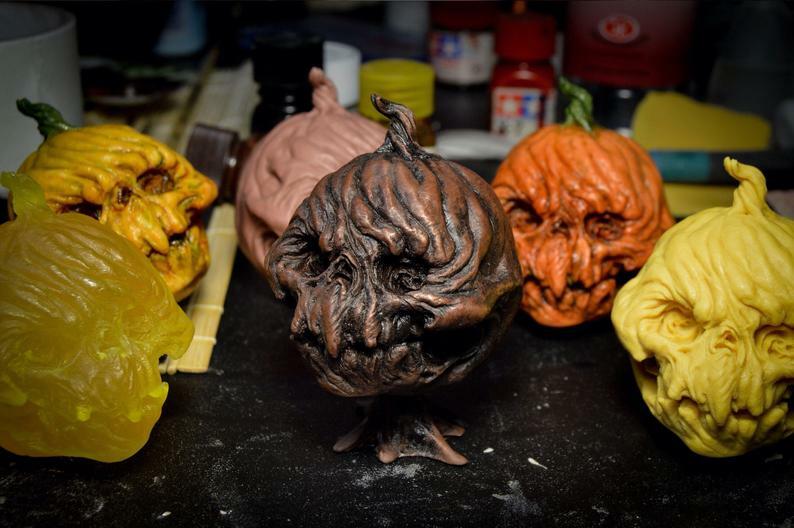 Makov also offers the pumpkin sculpts in resin format in his 2in1Evil set, which means you get two sets of the evil for the price of one pumpkin ($98 CDN). 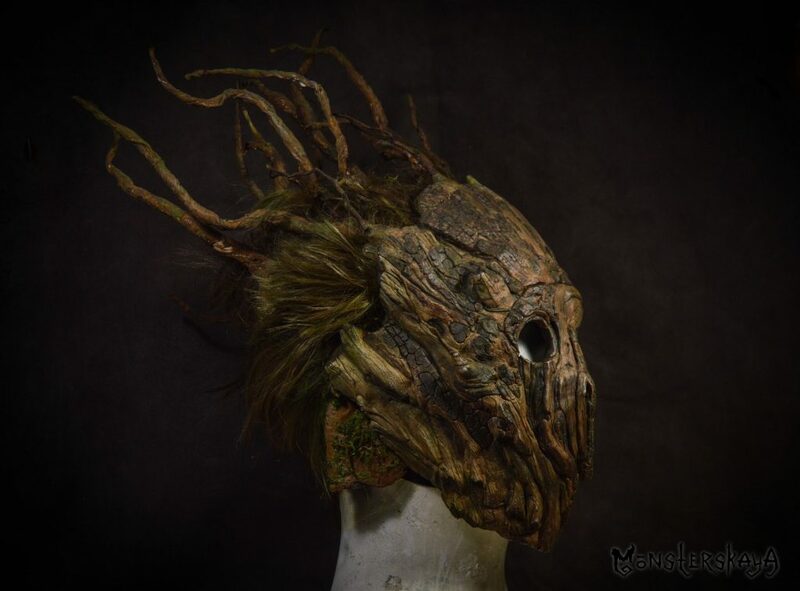 Makov also has a couple very original masks for sale: meet THE FOREST SPIRIT. This polyurethane plastic sculpted mask is based off an all original design created by the artist. 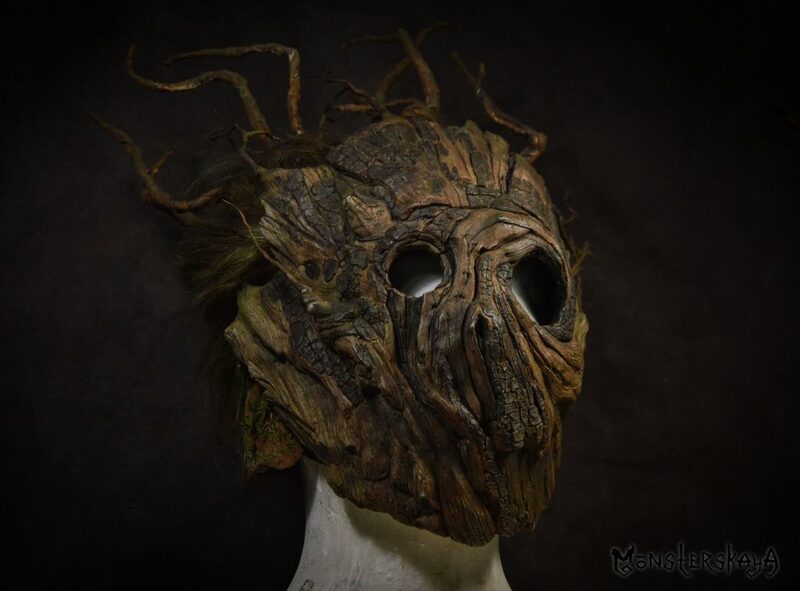 The solid faux wood design is hand painted to look like, real wood, with twigs coming forth from the top of the mask to complete the look. This all original piece would be a very interesting horror collectible to break out at a get together or Halloween party. The second mask is a mash up of different mask characters, across many different genres. THE “JAYSAWFAWKS” MASK with mount, says you’ll never forget the dates Friday the 13th or November the 5th again! 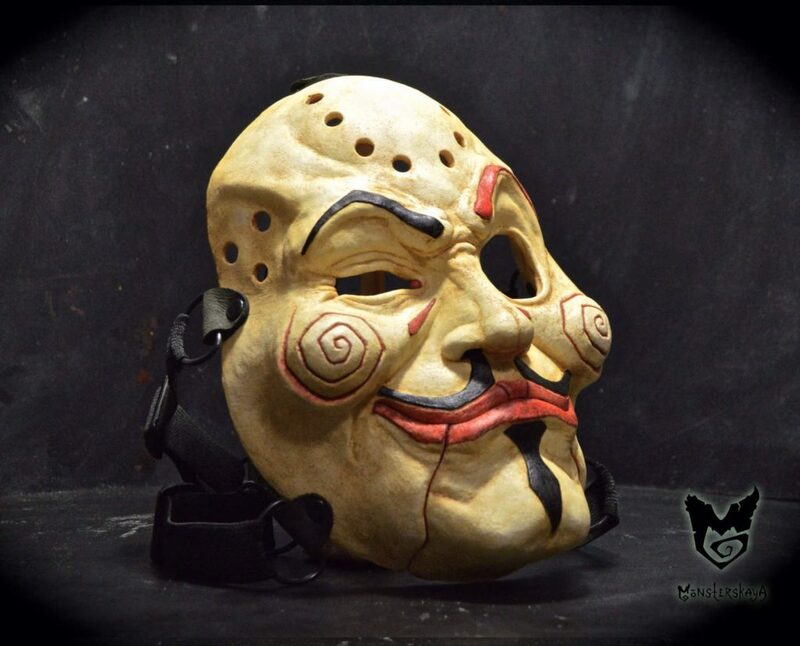 The mask consists of clay, paints, plastic, and resin, all sculpted and painted to show off different elements from Jason Voorhees, Saw’s Jigsaw and Guy Fawkes from ‘V for Vendetta”. The handmade mount is attached to the mask using elastic and leather straps. These very limited masks have horror fan written all over them, plus who hasn’t wanted to wear a mask from any of the above mentioned films. 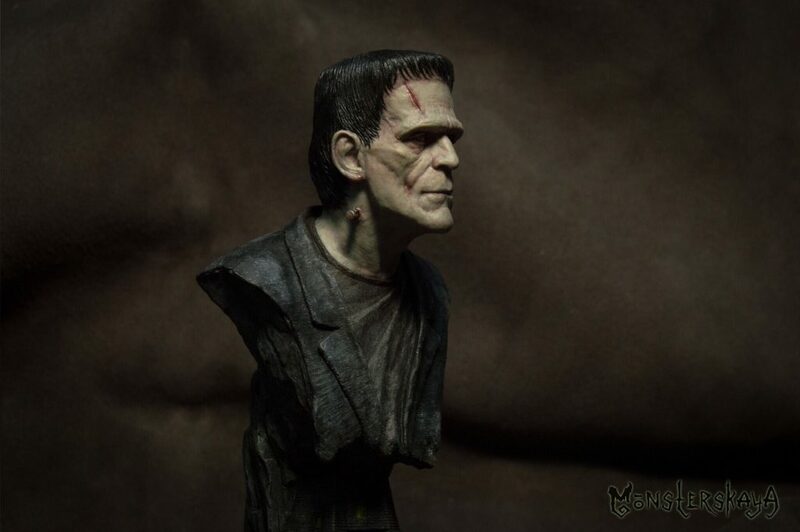 One of the Universal Studios classic monsters also makes an appearance in Makov’s 1/6 FRANKENSTEIN HANDSCULPTED, HANDMADE BUST. 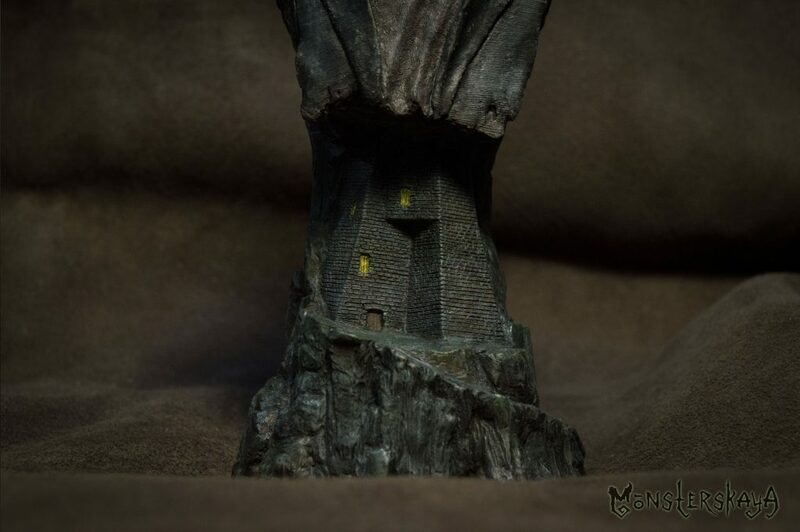 Each numbered bust stands 15 cm tall and sits on top of the expertly sculpted Castle of Frankenstein, all created using resin, paint and flawless talent. Take a good look into those eyes that only horror fans or mad scientist could love. 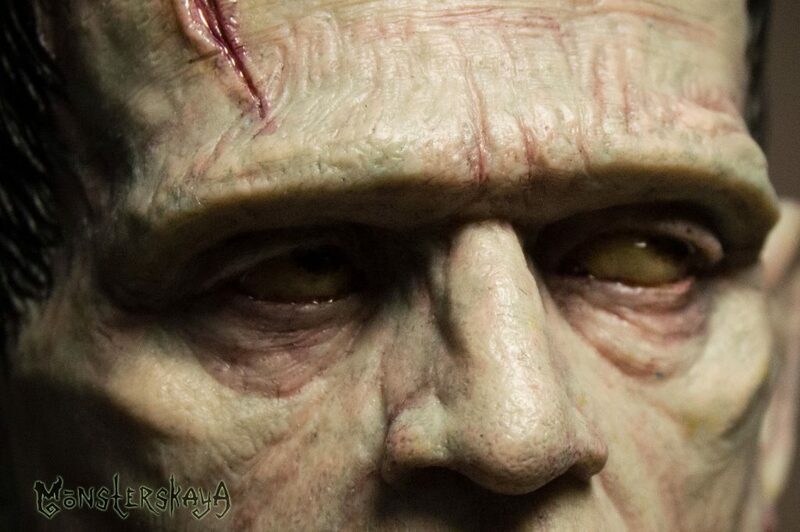 If this is too big, Frankenstein’s head magnet is also available! Finally, there are a selection of different homemade custom cellphone cases available for different makes and models of phones. These are again fully painted and designed by Makov and made to order. The options which are available consist of Freddy Krueger, The Necronomicon, painted and unpainted, but no less scary. 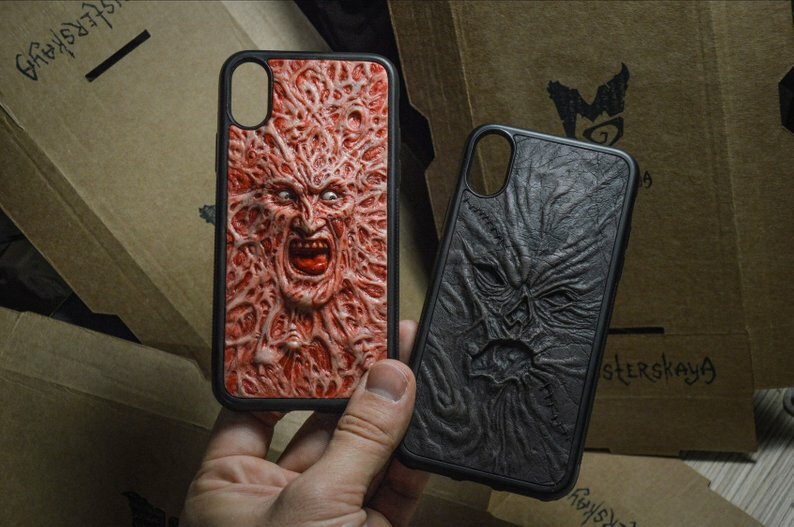 So if you’d love to cover your phone in a face of a burnt maniac or bind your phone with the skin of the dead, Monsterskaya answers the call for horror themed cellphones cases.